Staff at GFA-supported Bridge of Hope centres offer encouragement and counsel to students’ families, some of which face extreme poverty (like the family pictured), or abusive relationships, like Deena and her family. Her father had come home late that night. Drunk. Again. As he beat her mother, tears streamed down Deena’s cheeks. Her stomach rumbled faintly, having hardly been filled the whole day. Deena didn’t know what to do—and neither did her two older sisters. The entire situation troubled them, and they wished things would change. Deena’s family was poor. They labored to fill their bellies, and Deena, barely a teenager, struggled to continue her studies. Her parents couldn’t afford to give her the books and supplies she needed. This not only made it difficult for Deena to study, it also made her feel embarrassed about going to school. As a result, she often didn’t go at all—a “solution” that only perpetuated her struggles to learn. Deena had stopped going to school because she felt ashamed of her poverty. 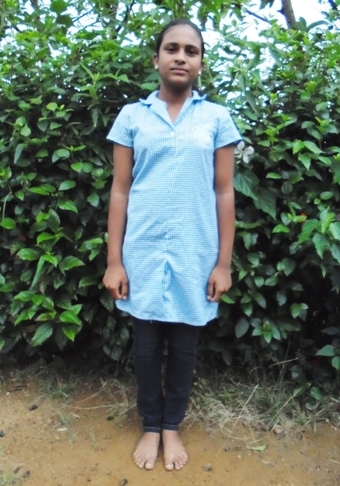 But now, through a GFA supported Bridge of Hope center, she has everything she needs to excel in her studies. But then a group of GFA-supported Bridge of Hope workers did a survey in Deena’s area, and they learned about this girl with great need and unused potential. They enrolled Deena, and her life took a drastic turn. Armed with the necessary supplies and further equipped with special tutoring, Deena began to excel. At the Bridge of Hope center, a nutritious meal also filled her young stomach every school day. During a meeting between Deena’s father and her Bridge of Hope coordinator, change started to happen in Deena’s home as well. Deena’s father realized how harmful his alcoholism was to his family, and he determined in his heart to stop. He even found a better job to support his family and stopped draining their resources one bottle at a time. Peace now reigns in Deena’s home. Not only that, but Deena’s sister, touched by the love Deena experienced, decided to start working to impact the lives of more children as well—she joined the Bridge of Hope center as a teacher. Now she is able to help children whose families, like Deena’s, couldn’t afford to give their children the supplies they needed to succeed. Deena is very thankful for the help she received through Bridge of Hope—help provided through the generosity of GFA friends. She wants to see more children blessed through her life, just as she has been blessed. Thank you for helping to make stories like this possible. May God bless you.